Jaybird understand the power of great sound. Music can motivate and inspire us to achieve great things. 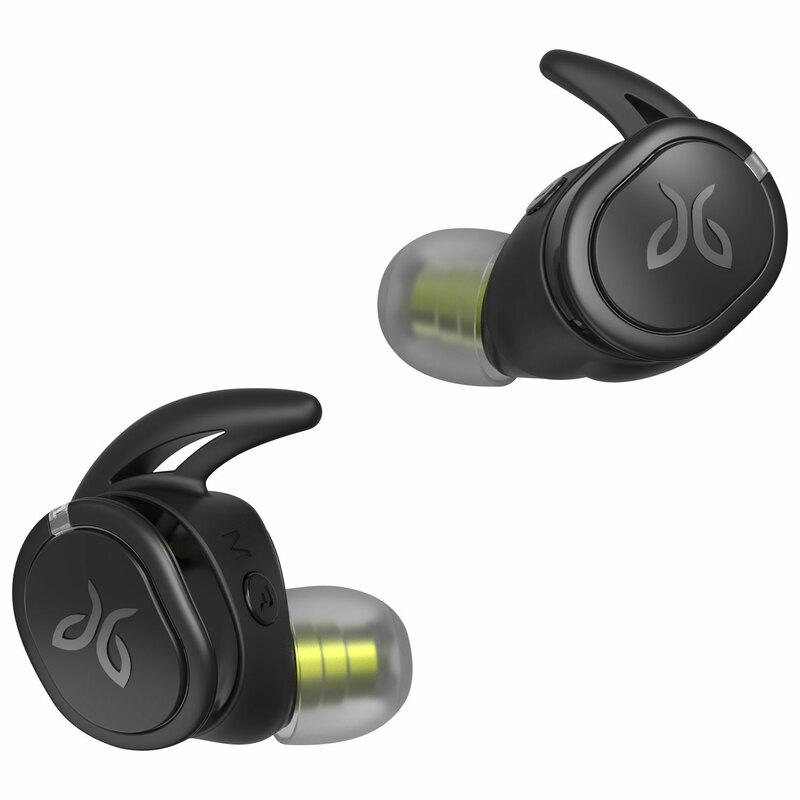 That’s why Jaybird have made it their mission to merge amazing audio with active lifestyles. 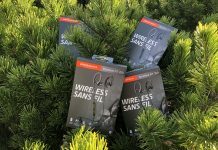 The RUN XT all-terrain true wireless headphones are designed for athletes of all levels who appreciate the relationship between music and movement. 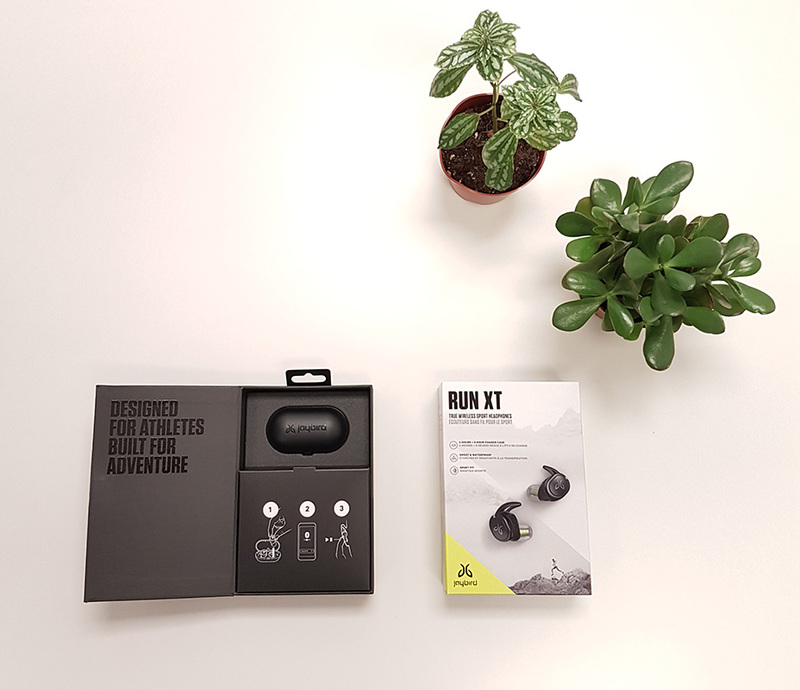 If you’re an athlete, a soon-to-be fitness enthusiast, or casual gym-goer looking to upgrade their tech, read about my firsthand experience of the RUN XT sport headphones. And then enter this contest for a chance to win one of six pairs we have to give away. Whether you’re a runner, walker, dancer, or powerlifter, physical exercise all boils down to the same thing — movement. Most of us spend the majority of our day sitting in front of screens. We get too comfortable in this static state and tend to avoid physical exertion. Today, the health benefits of movement for movement’s sake are well documented, and most of us have our own preferred form of physical activity to get us moving. My preferred activity is running. 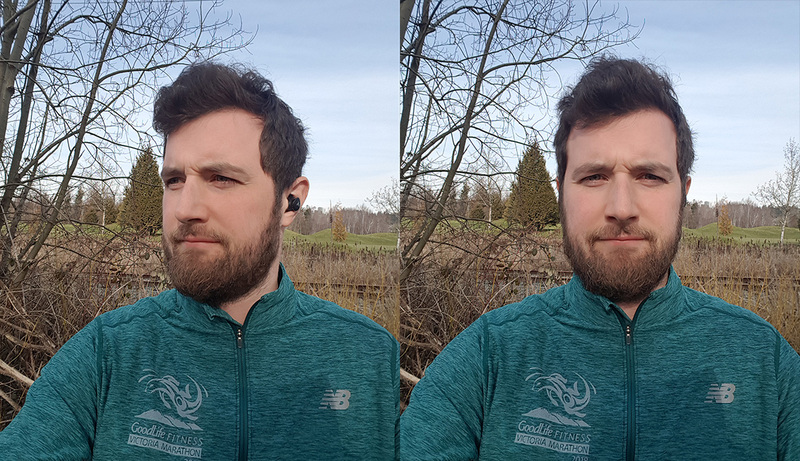 I ran in my first marathon last year, and I’ll be running in the BMO marathon in May too, so this was the perfect time to receive new sports headphones to try out. Like most of us, music (and podcasts) is a huge motivator for me as it helps with the tedium of training and inspires me to push through when I’m struggling. However, I didn’t actually try out the headphones in a workout until a few days after I received them. You see, even though I’m supposed to be training for marathons, I do get lazy, and sometimes my mind will look for any reason to to ditch a workout. I call this side of my personality Ivan Instead, and he’ll say things like, “It’s getting kind of dark out, you might trip or run into an angry raccoon. Let’s stay in and watch Netflix instead.” or “It’s Baltic out there. You might catch pneumonia. Why not relax and order pizza instead?” I should mention that I live in Vancouver where it rains A LOT, so one of Ivan’s go-to arguments to keep me indoors is “You can’t run in the rain. Stay on the sofa where it’s cozy instead.” Well, with RUN XT, I can run in the rain. These headphones are sweat- and waterproof. Most headphones designed for active lifestyles are only water-resistant, which means they can only resist water to a certain point. But RUN XT is designed to withstand heavy showers, giving Ivan one less excuse when it’s time to put in some miles. RUN XT are truly wireless in a streamlined design, making them barely noticeable with none of the bulk I was expecting. 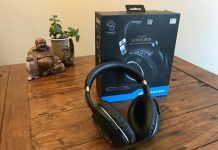 When I finally made time for a run, I unboxed the new headphones, and there was a mild but noticeable feeling of stress regarding installation. You see, I’ve never owned wireless headphones before. Questions that came to mind included, “How do I turn these on?”, “Do I need to charge them beforehand?”, “Is there some kind of software or app to download first?” I needn’t have worried. 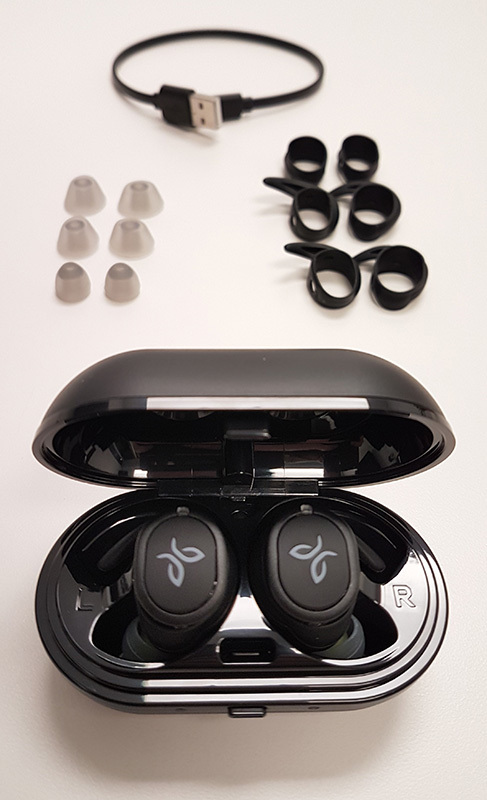 As soon as I opened the case, the earbuds automatically switched themselves on and were ready to pair with my smartphone. I went to the settings in my smartphone, clicked the Bluetooth option and found ‘Jaybird RUN XT’ as an available device. I clicked on it and the headphones paired instantly. It was that simple. As a test, I played Sultans of Swing by the Dire Straits. I can confirm the sound quality is glorious. It also has custom EQ, so you can tweak the audio settings to your preference. I listen to a lot of classic rock and hip hop, and great bass helps me achieve optimal running pace and cadence, so I cranked that up on the Jaybird app. Whats in the box: Comfortable silicone ear gels, charging case and cable, and of course, the ear buds themselves. The first workout I did with the RUN XT was a 25-minute jog followed by 25 minutes of sprints, and I’m happy to report that each bud stayed perfectly in place. I never felt like they were getting loose or about to fall out. Running is all about getting out of your comfort zone, but I think it’s important that your ears stay within their comfort zone! When you’re trying to focus on your breathing and pace, there’s nothing more annoying than realizing how ill-fitting your headphones are. 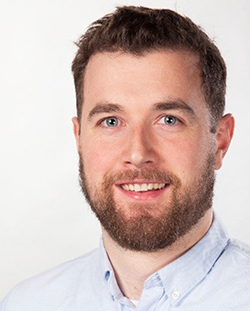 Jaybird have clearly taken this feedback on board, because they’ve provided several pairs of silicone ear gels of varying sizes to ensure a seamless, ultra-comfortable fit. The tips and fins are effortlessly interchangeable with different sizes, and I’m confident that each lucky winner of this contest will find the perfect fit for them. One of the main highlights of the RUN XT headphones is that they aren’t just Bluetooth-enabled, they’re truly wireless. That means there are no wires whatsoever. The benefit of this to me is twofold. First of all, I can run without having to worry about accidentally tugging on my earbuds which is annoying and distracting. I enjoy greater mobility since my movements aren’t confined by cable connections. Secondly, I don’t have to go through the painstaking process of detangling headphones every single time they mysteriously tie themselves up in a knot while in my pocket. How much of my life have I spent detangling those wires? It adds up. I don’t even want to think about it. 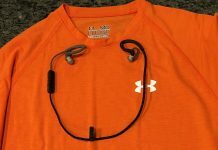 My workouts usually last for about an hour, and the RUN XT headphones can easily cover that. I usually run a 10K at a casual pace, or I’ll do sprints for a shorter length of time. When it gets closer to the marathon, I’ll be doing longer runs every Sunday, but they won’t last longer than three hours. RUN XT offers four hours of battery life, but they come in a pocket-sized, pill-shaped case that works a triple shift as a storage box, charging dock, and power bank. When you finish your workout, simply dock each earbud in the case and it’ll top them up with a further eight hours of power. This kind of charging setup is ideal for charging your headphones on the way to the gym or track. You don’t need to connect to a power source until all twelve hours are used up. These earbuds also have a fast charge capability that provides an hour of juice in just five minutes. This is great when you’re in a rush, and it eliminates another excuse Ivan Instead would jump on: “Dead battery? No music? Can’t run today!” This isn’t an issue with RUN XT. As the BMO marathon date approaches, I can see RUN XT becoming a must-have for all my commute runs, trail runs, park runs, and sessions on the treadmill. I can’t and won’t go back to wires. These earbuds are slim, discreet, and very comfortable. You can take phone calls on them and access your voice assistant. They offer improved mobility, are easy to use, and deliver awesome sound for all my playlists. And most importantly, when I’m struggling in the middle of a run and I want to quit (which happens often), RUN XT will deliver a motivating melody — just the nudge I need to keep me moving in pursuit of my limits. You can only submit one entry for this contest. I told you all about my preferred exercise. 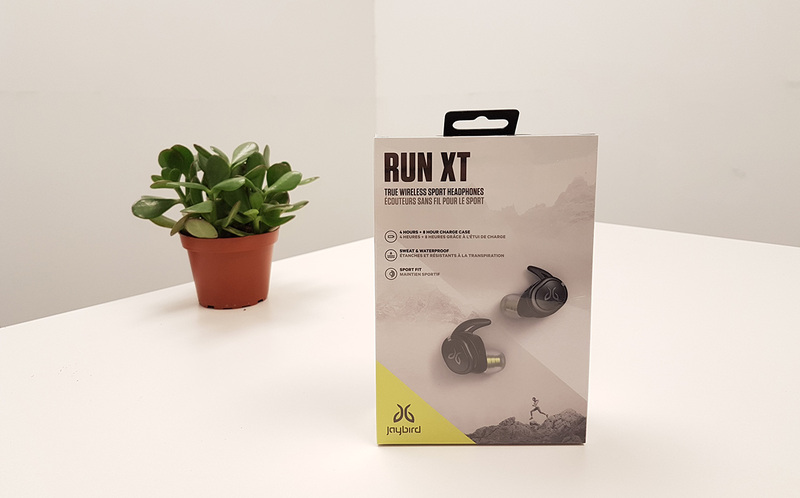 In a comment below this article, tell us about your preferred form of physical activity that could really benefit from these RUN XT headphones. Maybe you’re training for an ultra-marathon, or maybe the only exercise you get is your walk to work? Whatever makes you move, tell us how could these headphones could enhance it. We will randomly draw six winners. Each winner will win the RUN XT wireless headphones in either grey or black. The prizes are posted in the Rules and Regulations below. This contest runs from Febuary 8th until Febuary 22nd. Remember, you can only enter once. However, you probably know someone who loves to move to the sound of music, so please share this contest and they too will have a chance to win one of these prizes. While walking outside and getting fresh air. Would love these for the gym. These would be great for my commute to work. These look like they would work great while rock climbing. I would definitely want to wear these while jogging. I would wear these while dancing and training for a half marathon; these would be perfect, the cord for my headphones is always in the way. I would wear these while playing tennis. I like running and hiking! I usually combine the two, and the Jabra would be perfect for it! running, biking, taking my dog out in nature! I would use this headset for by early morning urban 5k jog trying to block out the city noises and imagine I’m actually in a dense peaceful forest, instead on my 20ft across wooden trail nestled between some house! These would exponentially increase my motivation to get out there on my mountain bike. I’ve thought about getting something similar to make the ride more enjoyable. I have been trying to get more active as of late, I believe music would add just that little extra I need to keep this body in motion. These would really turn up the intensity on my bike rides! So sick of my wired earbuds being ripped out of my ears! I guess working out at the gym, or going on long bike rides.